Julie S. came in our office suffering with chronic migraines. She was medicating her way through the monthly battles with debilitating pain. Then she would miss a few days of work while the meds would treat the pain, but would also knock her out. She would sleep up 24 hours straight while they worked out of her system. Sound familiar? This doesn’t have to be you. Migraines are more than just a headache. Migraine sufferers report a debilitating throbbing pain that is often accompanied by nausea, vomiting, blurred vision and sensitivity to light and sound. Causes of migraines include family history, hormonal changes, emotional stress, alcohol, caffeine, changes in sleep pattern, changes in weather, or physical strain. Unfortunately, migraines are poorly understood and often go undiagnosed or undertreated. Without getting the necessary help to understand migraine headaches and its variety of potential causes, people who suffer from migraines might not be getting the right treatments to help ease the pain and prevent further headaches. 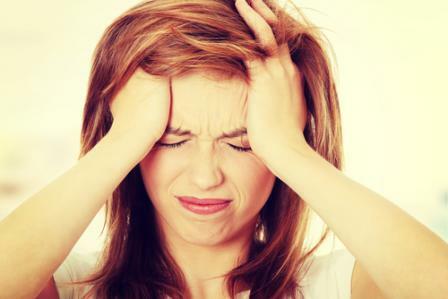 At Foster Chiropractic, we are dedicated to helping migraine sufferers understand their headaches and employ lifestyle changes that will help them feel better overall, and hopefully reduce the negative impact of migraines in their everyday life. One of the important first steps is talking with patients to understand their family history, migraine triggers and other lifestyle habits. Often we can suggest dietary changes and nutritional advice that can help with migraines. It’s also helpful to get a thorough family history, to understand each patient’s case more thoroughly. Spinal manipulation and chiropractic adjustments can also help relieve migraine symptoms by improving spinal function and alleviating stress on your system. Studieshave shown that patients who received chiropractic care for migraines once or twice a week for eight weeks saw a reduction in migraine symptoms. The outcomes that were improved were migraine frequency, intensity and duration, leading to improved quality of life. Massage is another therapy often used in treating migraines. It helps relieve stress and alleviates tightness of the muscles in the head, neck and shoulders, improving the blood flow to those areas and lessening the impact of the headache. Finally, as a chiropractor we are especially in tune with posture. We can help provide advice on improving your posture and suggest exercises and relaxation techniques that can help you prevent the onset of migraines in between chiropractic appointments. If you’re suffering from migraines and frustrated with having to miss out on work, daily activities or special occasions, it’s time to find some help. Call us today to get on the road to a life uninterrupted by migraine pain. It’s the holiday season, and that means lots of merriment around decorating the house, watching movies with the kids, and attending family gatherings and festive parties. Unfortunately it also means crowded shopping malls, lots of time with the in-laws, late nights at parties, rich food, special alcoholic beverages, and overall just trying to fit a lot of extra holiday events into an already crowded daily schedule. The holidays might be a time of joy, but they’re also a time for stress headaches. As many as 9 out of 10 people suffer from headaches, and the overwhelming majority of headaches are related to stress and tension. Tension headaches manifest as a dull ache, tightness, or pressure around the forehead and neck. They can be caused by poor posture, sitting at a desk for long periods of time, not getting enough sleep, or anxiety and emotional stress. With everything there is to do during the holiday season, poor sleep habits and high levels of stress are a common factor. If you suffer from tension headaches during the holiday season or any time of the year, you might consider chiropractic care. Research shows that chiropractic care is an effective treatment for tension headaches and headaches that originate in the neck. “Spinal manipulation alleviates stress to the system and helps normalize spinal function, restoring essential spinal curves,” said Scott Foster, D.C.
Chiropractic care for headaches includes more than spinal manipulation. Here at Foster Chiropractic, we will help you with tips to improve your posture, to help prevent future headaches. We also look at your nutrition plan to help encourage a healthy lifestyle that is hopefully headache-free. If you’re having to sit at a desk or a sewing machine for long periods of time, take frequent breaks to walk around and stretch. Try to get regular sleep, keeping to the same routine of going to bed and getting up on weekends that you do during the week. Don’t skip meals, even if you’re out shopping. Keep up your regular exercise routine. Be okay with saying no to keep your commitments manageable.